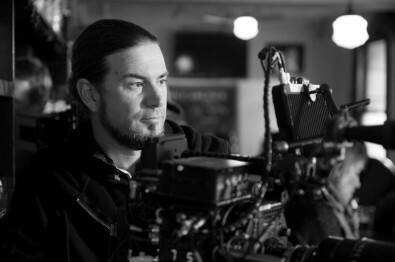 DP Judd Overton selects Varicam LT for 'The Letdown'. Image courrtesy Judd Overton. Netflix and the Australian Broadcast Corporation (ABC) have partnered to produce a new comedy series, The Letdown. The series was shot by cinematographer Judd Overton with Panasonic VariCam LT cameras, chosen for their look, especially naturalistic skin tones. The series was shot by cinematographer Judd Overton with Panasonic VariCam LT cameras. Born in Adelaide, South Australia, Overton graduated from the Australian Film, Television and Radio School (AFTRS) where he went on to shoot many features, documentaries, and television series. He has earned 25 Australian Cinematographers Society (ACS) Gold and Silver Awards for his cinematography work. Produced and written by Sarah Scheller and Alison Bell, the pilot and six half hour episodes follows Audrey, played by Bell, as she navigates the chaos of motherhood while still trying to balance a career-focused husband, a self-absorbed mother, and a care-free best friend. DP Judd Overton. Photo by Daniel Asher-Smith. 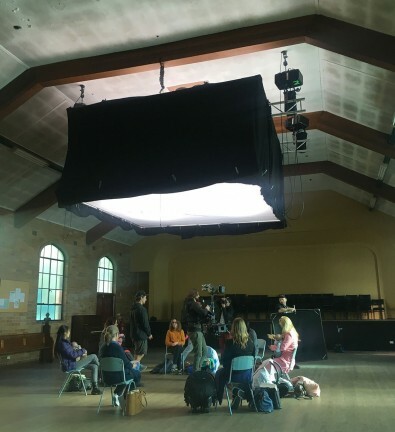 For lenses and support, Overton chose Panavision Sydney. “On this show, the 11-1 Primo Zooms were a staple as a lot of the show is cross shooting,” he explains. “We also carried the 19-90 zoom and a hand full of Primo Prime lenses for night work and Steadicam. The Primos are fantastic lenses. It’s funny that a lot of the people who championed the newest, sharpest lenses are now challenging the sharpness of high resolution cameras by using older lenses. I found the Primos were the exactly the look I what I wanted for The Letdown. Gaffer, Russell Fewtrell, to build a lighting rig into the ceiling to act as a large soft source. Image courtesy Judd Overton. The Letdown began airing on ABC on October 25 and will move to worldwide streaming on Netflix beginning in December 2017.